So this past weekend, I had signed up to visit our local Renaissance Festival with an old Rennie Pal of mine (that's a code word for people like to do the Ren Faire thing) - turns out she was taking a RenFest newbie, so I was more than happy to tag along! 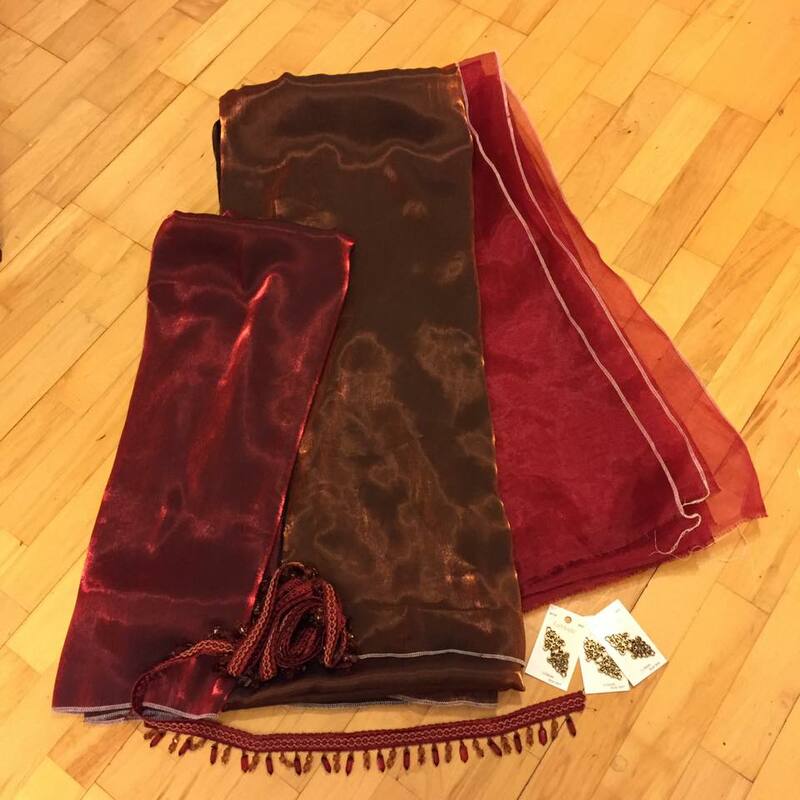 I of course have not been to a festival for the last like, FIVE years, so I had to go unbury all my garb from the costume archive. Upon trying on garments I had intended to wear, I realized I didn't quite... erm... fit the pieces like I did before. And I realized I can sew like 10x better now, (#cosplayerproblems!) and wanted to wear something new. I decided this Thursday Morning. I literally had two days. When it comes to Garb, you don't necessarily get to just pick a picture (though many people like to use the old paintings as reference! ), and go with that character. You kinda get to make one up. 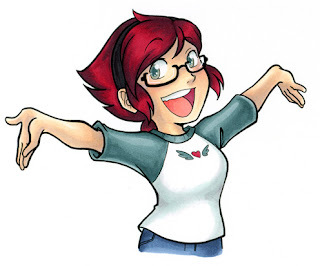 So I spent most of Thursday ruminating and browsing around trying to figure out what I was gonna be. I had intended to be a fairy at the faire before, so I figured I'd do something fantastical again. So I was super unlucky at the stores until Dave got home, and we went searching and found this weirdly iridescent fabric. 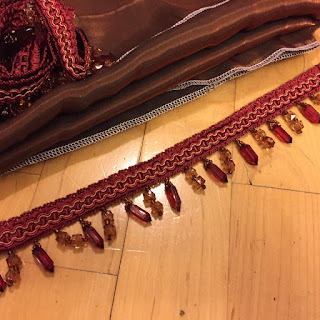 I wanted to do the dorky beaded lamp trims because FANCY but I wasn't sure what to get. And that's when the Voice Of Reason (Dave) said to get something I really liked because if I cheaped out on the trim, and just got whatever I wouldn't want to wear it again, and why waste the money like that, right? He is a wise man. 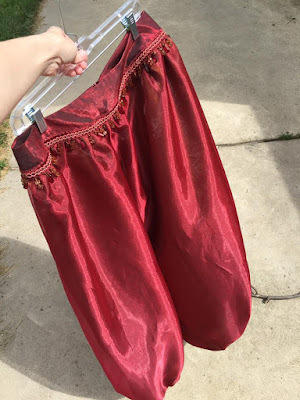 I washed fabric and then stayed up way too late thursday night making pants. With, I might add a very frustrating set of pattern instructions. I'm not sure if I was just super tired (possibly) or if the editor who designed the weird hopping around directions wasn't paying attention. Either way, I schlepped the pant pieces together in the way I know pants go (see, these are the things you learn by making a bazillion costumes), and slapped in an invisible zipper. These pants were plain. I decided Friday to change that. Because I can't be super normal when making any pattern, I overlayed the orangey fabric with a sheer shimmery red, so in the sun you sometimes see a glimmer of orange. Like fire. Also, I wanted to put the red as a trim on the shirt. Which then induced more swearing as I had to make a pattern piece on the fly and do the fold over and hide in the seam trick, but I think it came out well. I'd like to be able to move my arms when wearing it. 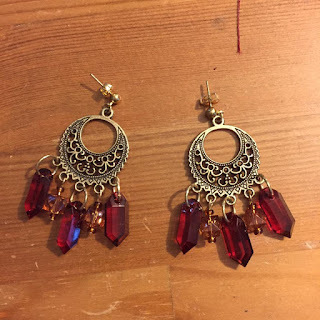 And then last but not least I wanted to have some matching genie-type earrings and I had some beads that came off the trim as I cut parts, so I used those for a whole cohesive look! And the beads were plastic so they're effectively weightless. 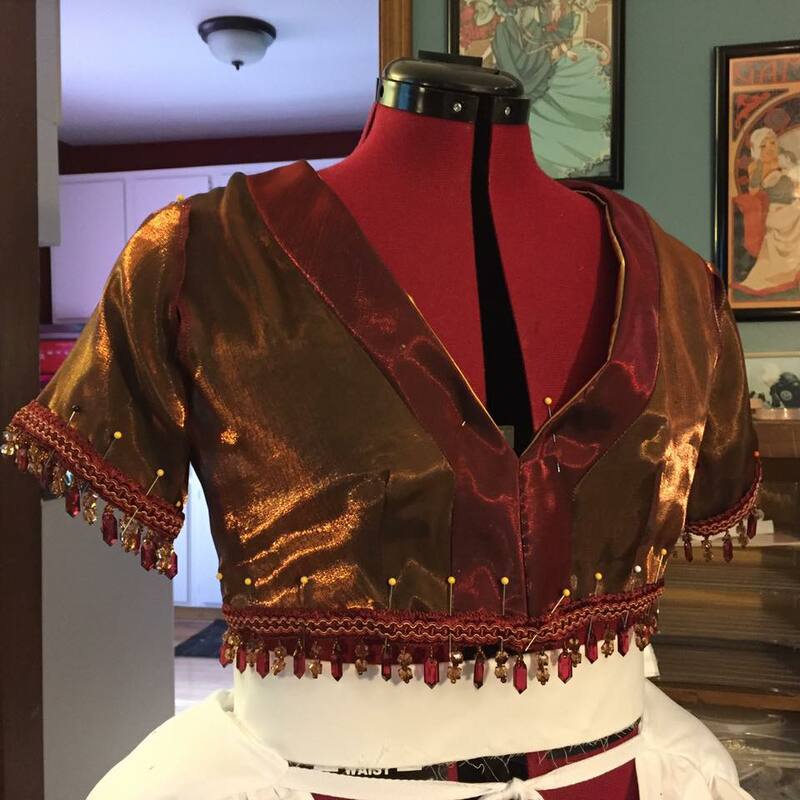 Since I work at home, and costuming is part of the stuff I do as a job now, I took friday afternoon and sewed up the top. So within about 24 hours I had a complete new costume! (I borrowed some parts from another old cosplay of mine too). 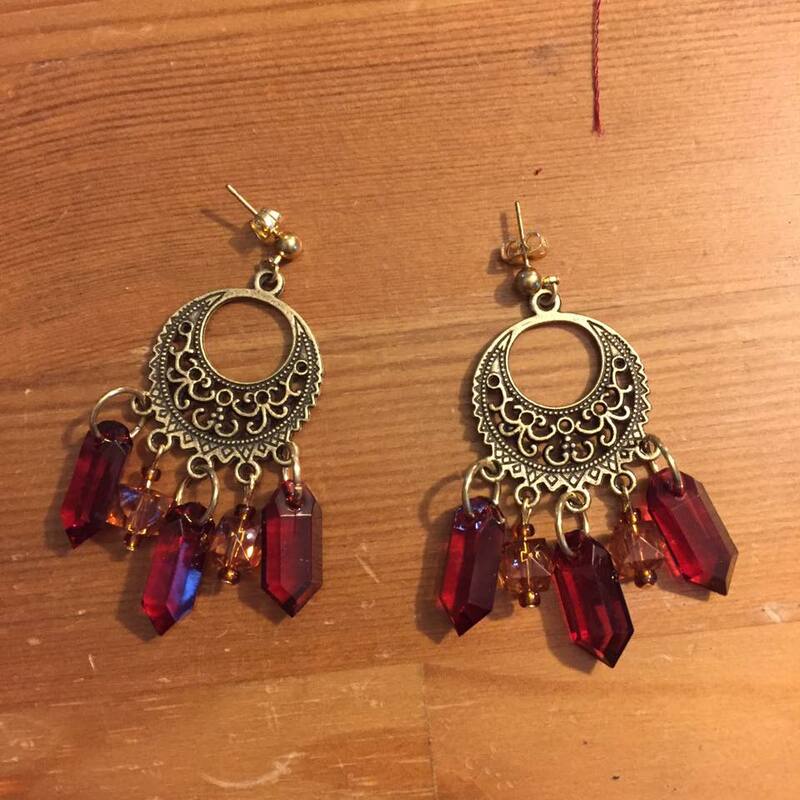 Got to go to the faire, all blinged out, and the test run was a success! 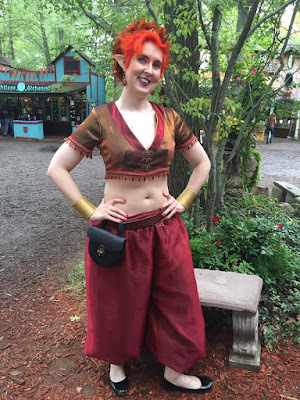 I sewed a Ren Faire costume in a day, and it was pretty fun. A little frustrating now and then, but simple enough I could hack it together. I wouldn't recommend it for beginners to try doing (seriously staying up way too late isn't the smartest thing to do when dealing with fast moving needles), but it was a fun experience. Costume is 8/10 will wear again - I just need to make better moving sleeves, thankfully these ones are easily removed! Before we return to our regularly scheduled blog posts, I wanted to make one last post about books! We're now in the throes of September and the books are officially "Out!" 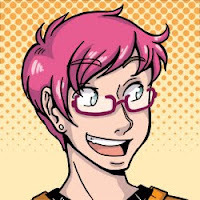 Books in the Wild - What Can Readers Help With? 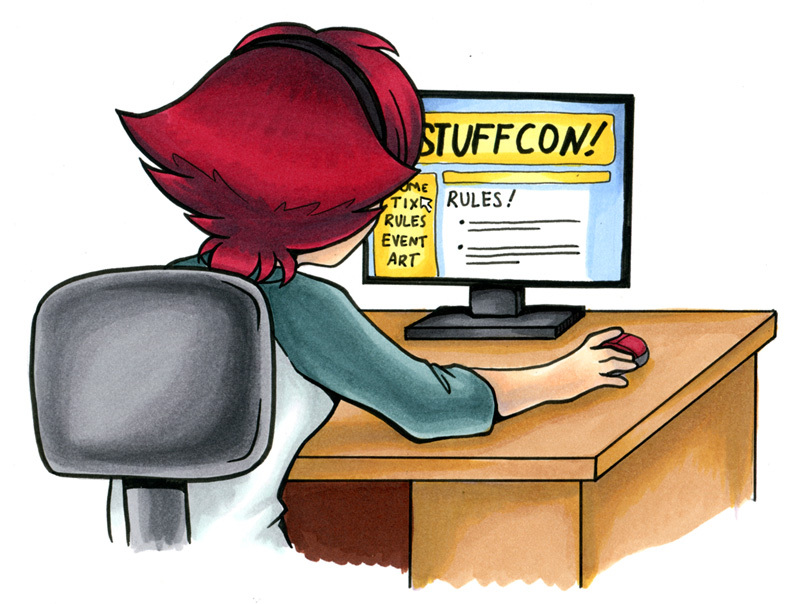 So now that the books have manifested into reality, there's still some steps in the book process! Firstly, I want to know if you're making things! Have you made a costume using these tutorials? If so, PLEASE! Send me a link to my cosplay page! (facebook.com/karmadacosplay) I would love to start a gallery of people making use of these tutorials. I love seeing the creative work y'all come up with, so let me advertise you! Did you enjoy the book, or have something you really liked about it? Leave a review! That means either on the Amazon page (see link at top), or at the Barnes and Noble website. By leaving your happy review, means that the publisher knows the book was a success! 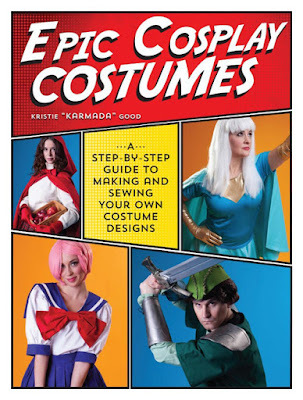 If it gets positive enough reviews and sales, there's a chance more cosplay books could be coming your way. 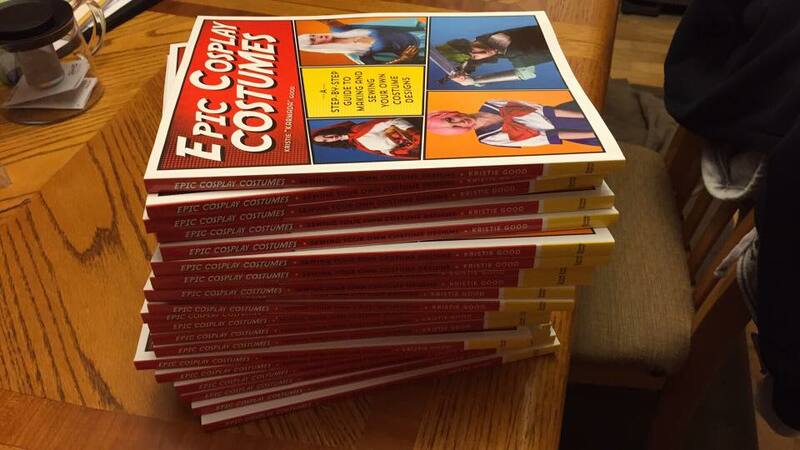 Once again, thank you so much for your support for Epic Cosplay Costumes! 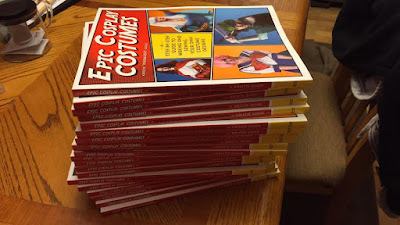 My hope is that I can help many more people enter the magical world of Cosplay. 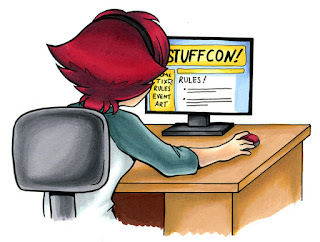 It's fun, educational, and FANTASTIC! So get out there, and start MAKING COSTUMES!